Skeletal muscle regeneration is a highly orchestrated process and involves the activation of many cellular and molecular pathways. Although satellite cells (SCs) are the major cell type responsible for muscle regeneration, pericytes show remarkable myogenic potential and various advantages as cell therapy in muscular disorders. 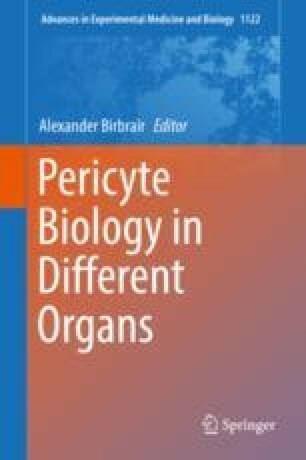 This chapter first introduces the structure, marker expression, origin, and category of pericytes. Next, we discuss their functions in muscular dystrophy and/or muscle injuries, focusing on their myogenic, adipogenic, fibrogenic, chondrogenic, and osteogenic activities. Understanding this knowledge will promote the development of innovative cell therapies for muscle disorders, including muscular dystrophy.